The island of Bali is some 153 kilometres wide and spans 112 kilometres north to south, so while most of the action is in the south, whatever location you decide to settle in will not be particularly remote. The expat hotspots here are diverse and there’s something for all tastes. Below is a quick round-up of the most popular spots and a selection of rentals currently available. You’ll notice they are based on a yearly rate. That’s how it’s done in Bali, pay up front for one year. If you decide on a longer period you have the option to negotiate further. Once done, you’re locked in, so be sure you have a contract in place and specifics listed such as who will cover maintenance costs, for example. Located on the east coast, this beachside town is idyllic in many ways. Lagoon-like waters lap at the shoreline. A five-kilometre path runs along the golden sands, allowing for leisurely strolls anytime of the day. Sanur has retained its village feel and you’ll find local temples all around. Traffic snarls are non-existent, life is laidback and it’s easy to meet other expats at the many restaurants and bars. A three-bedroom home within walking distance of the beach and restaurants is currently available for a yearly rental of $20,000. It features a lush tropical garden and a large pool. A cosy, two-bedroom villa located on the west side of Sanur, with a well-equipped kitchen and a private swimming pool is available at $13,500 per year. It’s also only a five-minute drive to the beach and restaurants. 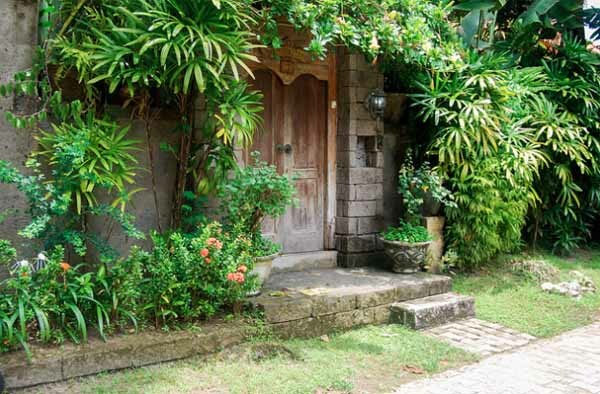 Home to an expat community from all over the world, Ubud’s a very easy place to live. Rent a home with a rice-field or jungle view, lose yourself in the fascinating Balinese culture and friendly people. The climate is relatively cooler than the beach towns and not as humid. The airport is only 90 minutes away and there’s now a BIMC hospital located in the town to cover any medical needs. Cost of living is kept low with the many local markets selling fresh produce on a daily basis, along with the supermarkets. Getting around with a car makes it easy to explore other areas of Bali from here—being central on the island—you’re only a short drive away from Candidasa and Lovina. With a beautiful rice-field view in a quiet area only a 10-minute drive from town, a two-bedroom, two-bathroom home with a Western-style kitchen, living areas, a private pool and an outdoor gazebo is available now for $18,000 per year. Alternatively, a cosy apartment located amidst the jungle is currently leasing for $9,000 a year. It’s a 10-minute walk from Ubud Market and features one bedroom with en-suite, a living room and equipped kitchen. It comes fully furnished and has air-conditioning. Drive three hours north of Sanur and you’ll find a town that’s not as well-known as its southern counterparts. Lovina is located just six kilometres west of the port town of Singaraja. Homes sit amongst the waterside hotels and in-between the lush, verdant rice fields sit against the green mountainous backdrop. There are many restaurants and bars here and you’ll find locals and expats congregate on the beach for sunset. Singaraja has a major hospital for any medical needs and for convenience there are many local supermarkets in Lovina. 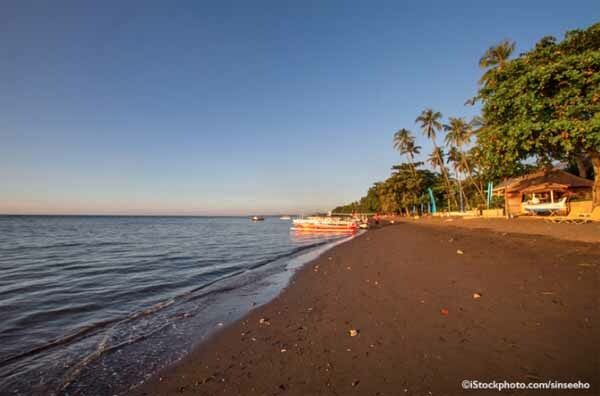 Lovina is relaxation at its best—so different to other areas—and is definitely worth considering. Close to town is a lovely two-bedroom villa with open plan kitchen and living areas with great views of the rice fields. Price includes maintenance of the large swimming pool and security. It’s available for $9,000 per year. If you’re after more space, a four-bedroom home with a large swimming pool, located a five-minute walk to the beach and close to Singaraja, offers beachside living at a great price: $11,000 a year. This beachside town offers city-living to those who don’t want the traditional retirement. 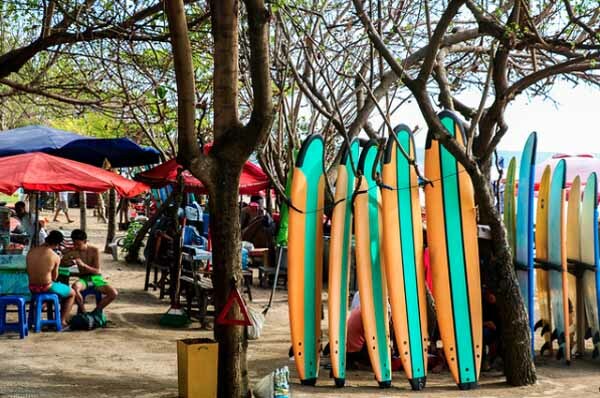 Still laidback, Legian offers the perfect surf-beach, a variety of restaurants and bars, and an energetic nightlife. 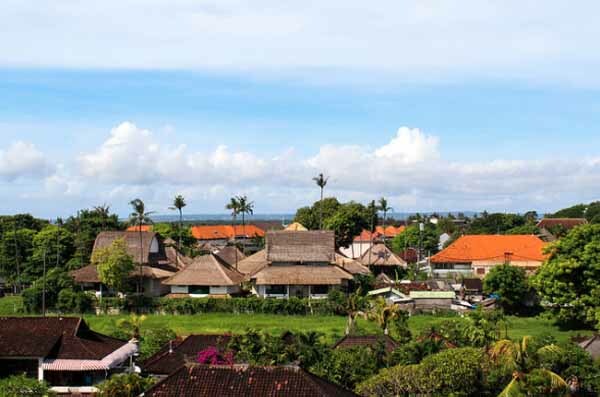 Legian is only 15-kilometres away from the international airport and close to the major hospitals. A one-bedroom apartment located a short walk to the beach, offers a Western-style kitchen and a shared pool. Bargain living at $9,000 per year. Only a short-drive to Legian beach, a two-bedroom villa, equipped with all the mod con, ensuites in each bedroom, air-conditioning, a large private pool and fully furnished, is currently available at $16,000 per year.